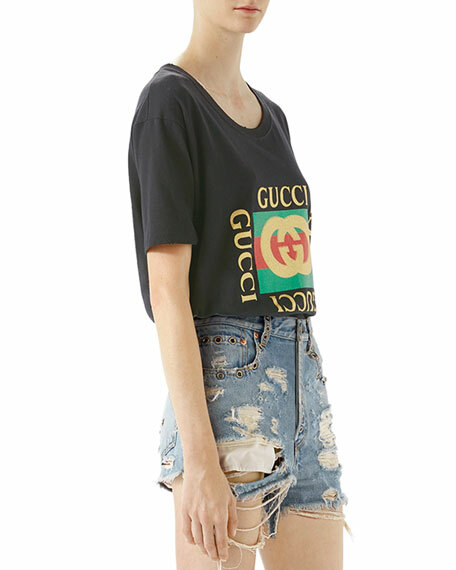 For in-store inquiries, use sku #2267435. 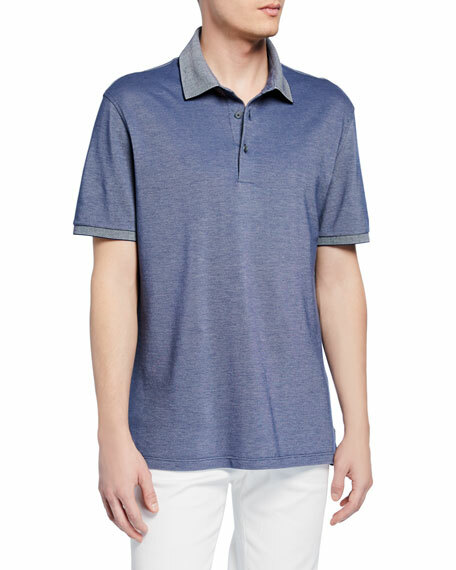 Brioni polo shirt in solid jersey-knit. Spread collar; three-button placket. Logo embroidered at left chest. Cotton. Made in Italy. 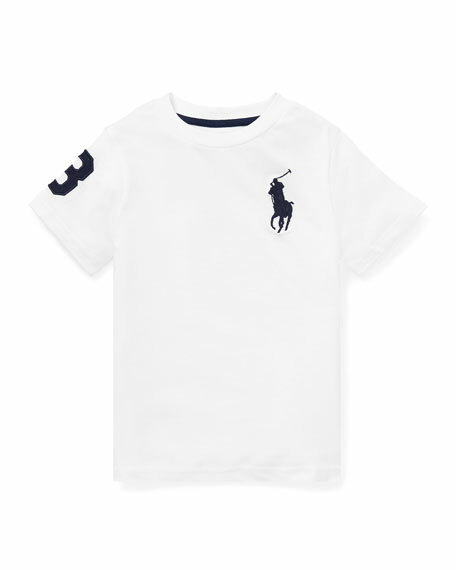 Ralph Lauren Childrenswear solid jersey T-shirt. 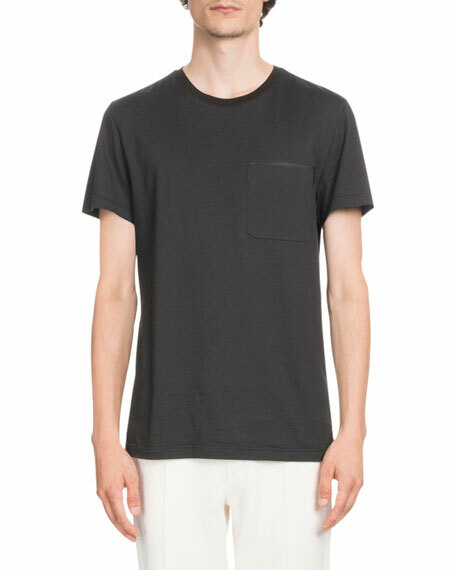 Twill "3" appliqué at right sleeve. Big pony embroidery at chest. Crew neckline. Short sleeves. Pullover style. Cotton. Machine washable. Imported.